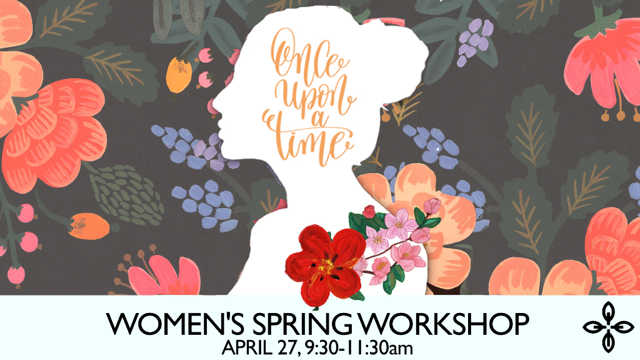 Grow together through events, rooted community groups, outreach opportunities, social gatherings and women-only retreats. Together we bear fruit, interacting with neighbors and friends in our community. Join other women as we flourish together in Jesus Christ. Have you ever searched for God in your own story? Maybe there are chapters where God seemed absent. Or perhaps you’ve never thought about how He was pursuing you before you even knew Him? At Hinsdale Covenant, we want to help you find God in your own story. He’s been there the whole time. Looking for a place to connect to other moms? Wanting to grow spiritually? Gather to connect, study and pray together, every Thursday. Childcare available. Meets September through May. Women of all ages, stages and backgrounds are invited to a new weekly intergenerational Bible study for women. Join us Wednesday mornings, 9:30-11am as we set aside time each week to dig into God’s Word, encourage one another and pray together. Bring a friend and your Bible. Childcare available. RSVP to Marie Roesler at marie_roesler @hotmail.com. 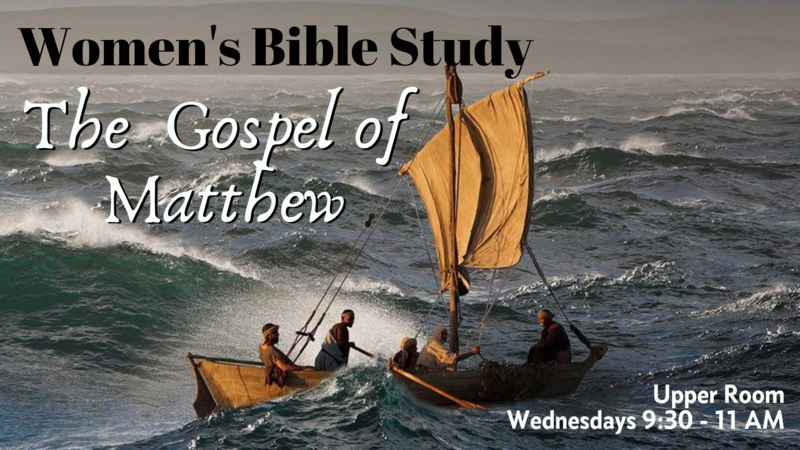 We are studying the book of Matthew. 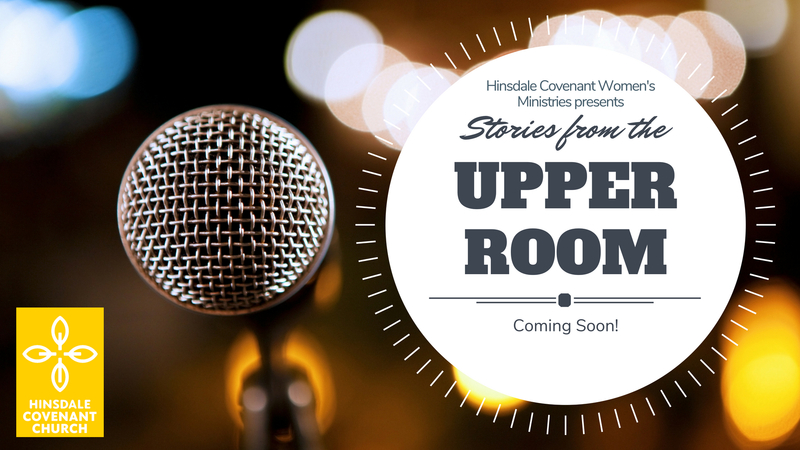 Women’s Ministry is bringing you Stories From The Upper Room – an intimate evening of coming together to hear stories of women and their walk with Christ. Join us to listen, share and connect with other women. Meet in the Upper Room (2nd level). 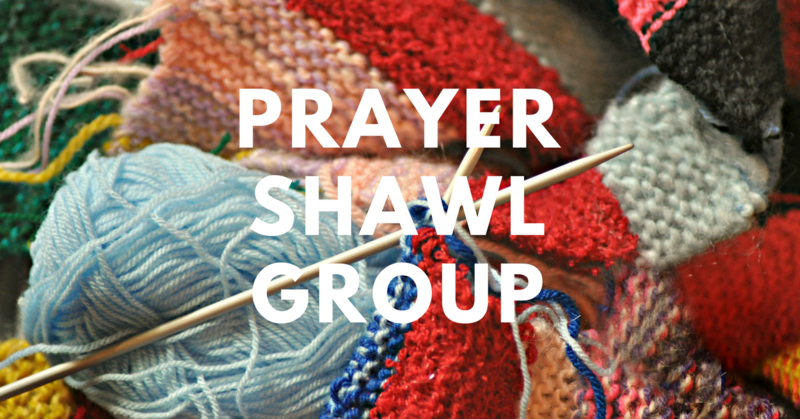 This loving ministry knits shawls and robes for folks going through hard times. These ladies knit, pray over and wrap these gifts for recipients so they feel God’s loving arms surround them with peace and comfort. Meet in the Upper Room (2nd level).